Adolescence is hard enough without the challenge of cancer. Domenic & Monse are 14 and 12 year old sisters trying to understand why their mother is having to fight for her life. Their mom was diagnosed in 2014 with Stage 3 Breast Cancer and it has affected their family of four. Dad has only so much time and has to focus on being the primary caregiver to their mom as well as try and deal with the new challenges, changes and pressure that a cancer diagnosis creates. He was looking for help in navigating this path with his two girls and was referred to Walk With Sally by a school counselor. 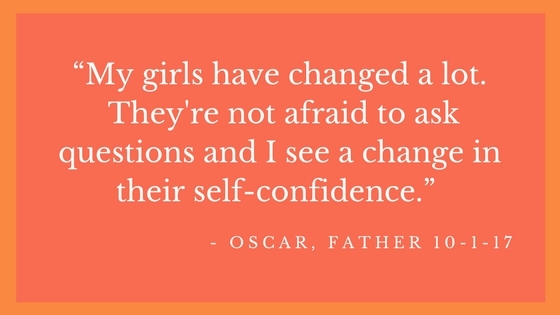 Everyone has a different way to deal with fear, anxiety, confusion and pain and adolescents are no different. Domenic was isolating herself and trying to be strong for her little sister, while Monse was trying to keep things more lighthearted both as a coping mechanism and to help alleviate the stresses in the family. Four months ago we were able to match them both with their own mentors, someone to be an example of living through this battle as well as to be there just for them. Jessica and Amanda had both lost their fathers to cancer and wanted to help another child through this most painful of experiences. 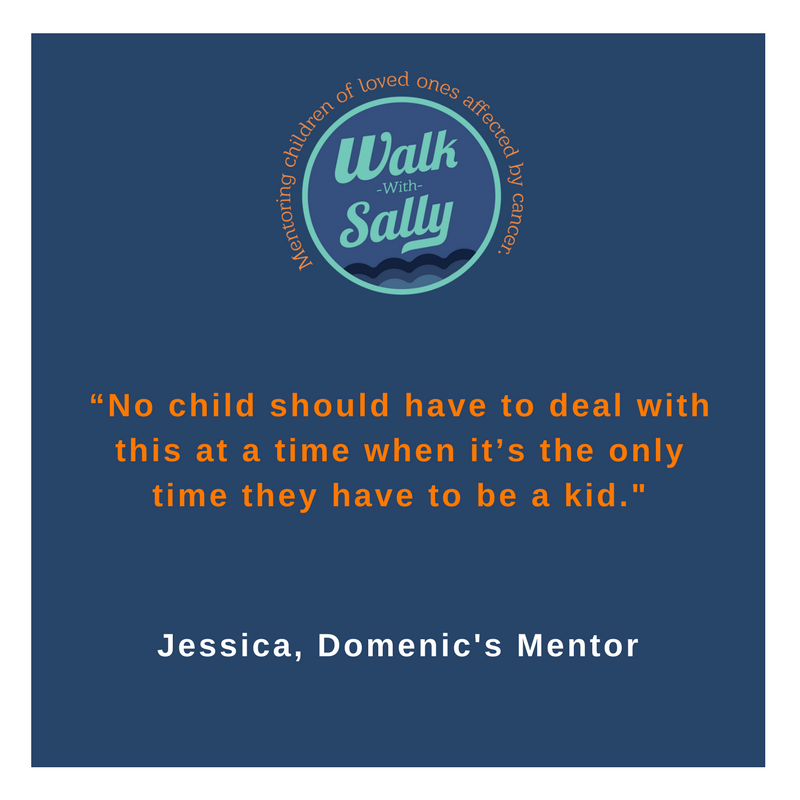 “No child should have to deal with this at a time when it’s the only time they have to be a kid” says Jessica. As for Domenic, Jessica tells us “She is so sweet and has really begun to open up to me. She tells me that no one in her family understands her so I feel so privileged that she has opened up to me.” Meanwhile Dad has let us know that Monse is beginning to talk about her mom’s cancer for the first time. When asked who they most admire both Domenic and Monse as well as Jessica and Amanda say their moms. Each of them talk about the influence these strong women have had by watching them persevere. So for Breast Friends Month, we salute all moms of all kinds, biological, chosen and mom-like figures. Thank you for showing what strength looks like and it looks like a girl! To make a difference in the lives of children like Domenic & Monse please consider volunteering and joining our village! This entry was posted in Breast Friends, Impact Stories and tagged Breast Cancer, Breast Friends, cancer, friendship, Impact Story, Mentorship, Mom, walk with sally.